Achieving sobriety is a lifestyle change that not only addresses the physical toxicity, but also the accompanying thoughts and behaviors that continue to impede the path to our vitality and happiness. If we are to regain and embrace the life we deserve and are able to exude the best within us, we must address a variety of sectors if we wish for long-term success. Since the path that brought you to the point of needing a “lifestyle adjustment” was long and complicated, the first thing to responsibly recognize is that your healing in recovery will take time as well. This healing will take strength and tenacity and must be an ongoing practice. To gain back our own self-respect, and from those around us, a commitment must be made to be willing to become honest, open, and willing to dedicate ourselves to making lasting changes. Trying to detox from drugs and alcohol after extended periods of using is not only often extremely uncomfortable, it can be dangerous. It requires managed care and interventions that only trained professionals can provide to reduce the discomfort and support the individual. Aside from that, there are necessary peripheral supports such as counseling that help insure the long-term success of the transition. Without the proper supports, many find that they often find themselves back in the same situations again and again-often with increasing negative circumstances. Many may follow the recommended course of action by seeking professional medical evaluation and observation to detoxify the system. Depending on what substances are in question and the duration and extent of abuse, trying to do this alone or unsupervised can be dangerous or even deadly. To insure proper detoxification and intervention, seek guidance from a doctor or addiction treatment facility. Some may choose to enter into an inpatient facility for an extended stay observed by addiction specialists and counselors for the duration of their treatment. These programs are rigorous and require total immersion of the patient for days, weeks, or months at a time. They often include layers of supports from medical, psychological, and spiritual criteria. Some people benefit from the removal of their normal environment and stressors to focus on themselves and their health. They are often more expensive and some may feel intimidated being totally removed from their homes and families for extended times. Others may opt for an Intensive Outpatient Program. These are programs that allow the individual to come in a few times per week for counseling and observation and then go home to work on the materials discussed to aid them in recovery. Often people are encouraged to also attend other support meetings such as “twelve- step” as a complement to the process. At HPR, we focus on what is considered MAT (Medication-Assisted Treatment) which is a very effective method in addressing opiate addiction. Under close scrutiny and doctor’s care, the patient is prescribed medication such as Suboxone® which helps reduce the extreme physical discomfort that comes from opiate withdrawal. This physical discomfort is often what exponentially leverages the fear of quitting as well as exacerbates the illicit behaviors involved in continuing use. Helping People Recover also offers treatment support through the use of Vivitrol to mitigate cravings. Consult with your doctor to see if Vivitrol may work for you. The medications address the withdrawal symptoms as well as the cravings–and with ongoing visits to the doctor for ongoing monitoring and examination, one’s progress and success is part of an ongoing plan. Our compassionate doctors listen to their patients and strive to support them into improved health in the most effective methods available. Not only do we focus on reducing the extreme discomfort one experiences in unassisted withdrawal, we also require regular counseling to give people the proper strategies to help them deal with some of the stressors and triggers that often got in the way of their recovery­­­­­-and many times were some of the reasons people turned to these chemicals to cope in the first place. COUNSELING IS A REQUIRED COMPONENT OF TREATMENT AT HPR. We feel that if one is truly ready to move forward and get their life back, it is good to have a skill coach who knows addiction and recovery. Without these skills, the chances of success in recovery are greatly diminished. We feel if you are investing your time and money to regain your health, you should be properly equipped with the tools that insure your success! WE OFFER ON-SITE COUNSELORS AVAILABLE IN TANDEM WITH YOUR DOCTOR VISITS. It is upon return into your “normal” environment that proper strategies are developed and practiced to overcome the challenges of re-integration back into society, work, relationships, and the environments that may have been a factor in disrupting your life in the past. These are where the triggers lurk. This is why personal counseling is an important factor in our program. Groups such as AA/NA and places of worship can provide certain insight, skills, and comfort, yet they do not always have the capability to personally adjust their message or strategies to rapidly respond to the needs of a recovering individual who is seeking answers and direction. That is why we recommend counseling as well as your other supports. Many recovery groups and programs offer encouragement by listening to others’ messages and stories. It has been found in some groups that to thoroughly vocalize your own stories and concerns early on when it is most important is at times discouraged for the newcomer. Also, the public forum can be intimidating to some who may not feel comfortable sharing the nature of their personal situation aloud to the masses. At times one-on-one dialogue is most helpful to allow people to become comfortable with their new lifestyle. For some, personal support that complements another program, yet focuses on life/recovery strategies specifically is more effective. Although sobriety programs and networks are key to a person’s ongoing recovery, we advise more personal intervention with individuals and families during our treatment programs. Even though we emphasize counseling as a recovery support, we still strongly encourage other supports such as N/A and A/A to galvanize your treatment. Addiction counseling is a resource to where a person in recovery can have ongoing personal attention and assistance in developing skills, schedules, networks, and new directions in maintaining a day-to-day stability leading to progressive improvement. Addiction counselors can share helpful direction based upon a professional relationship with the client in recovery by listening to the arising needs of the person as they venture into a seemingly new world environment and help them adapt and adjust their strategies accordingly. The role of the Addiction counselor is to focus forward and to guide the person in recovery, assisting them in navigating through the challenges that may be disruptive to their sobriety. It is NOT a role of judgment and persecution, but one of encouragement and support to best set you up for long-term success in recovery and life. Without structure and direction, a person can easily fall back into old habits without navigation, skills, accountability, and social connection to stay the course. 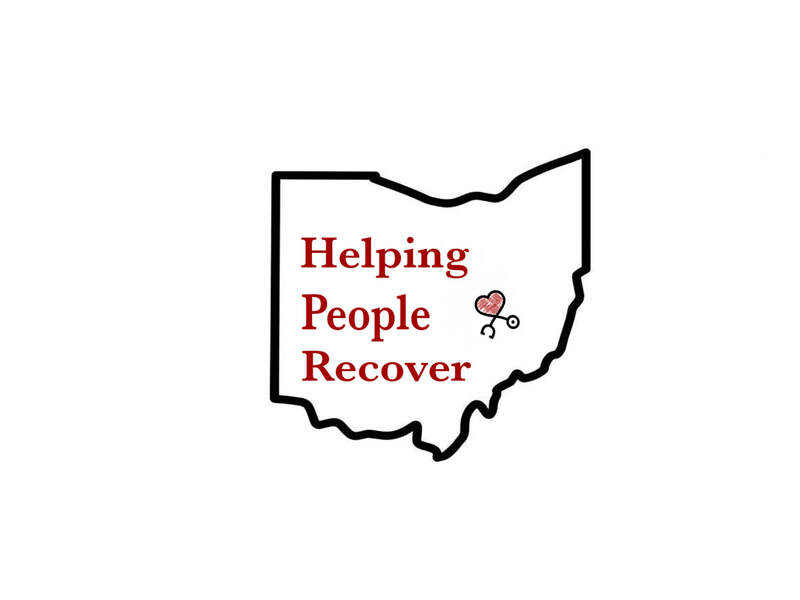 At Helping People Recover we also realize that your goal is to eventually return to a “non-dependent” lifestyle. As we monitor your progress, we begin to work with you on the transitional strategies to move you to the next phase of your recovery where medication intervention may no longer be needed. We realize you may have concerns of physical discomfort and anxiety, and that is understandable. We will personally work with you to have the proper tools to not only be able to physically cope with the transition, but we will arm you with the tools you need for ongoing psychological coping. We will work with you on developing the skills to help you deal with stressors, triggers, and environmental disruptions that in the past may have been extremely challenging. We want to not only be your care providers but your partners in recovery. *Counseling is an added $50 per session at Helping People Recover.